I have to make an admission here. I don’t drink. I don’t have any interest in drinking. Holidays devoted to drinking are days I like to spend safely at home. Saint Patrick’s Day is one of the biggest drinking holidays of the year, so I’m not even looking at the events page on Facebook because I don’t want to even be tempted to venture out. However, this Saturday is the day AFTER Saint Patrick’s, and that’s a different matter entirely. There are two great shows happening that will appeal to vastly different audiences. 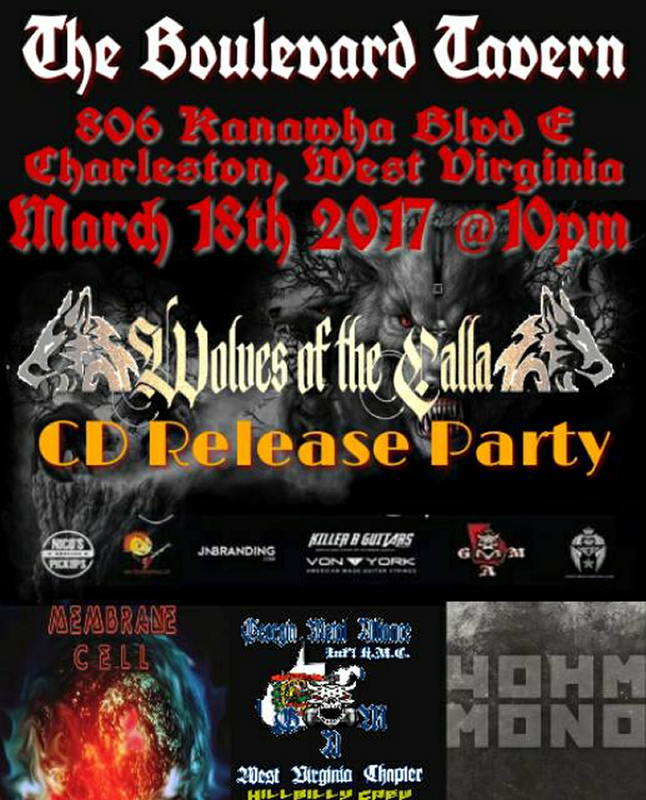 First up, if you’re into hard rock and metal, you need to get out to the Boulevard Tavern as Johnny Compton unveils his new band’s new CD, also on the bill Membrane Cell returns with their progressive wall of sound and John Lancaster’s 4 OHM MONO plays a rare date in Charleston. It’s all part of the Wolves of The Calla CD Release show. 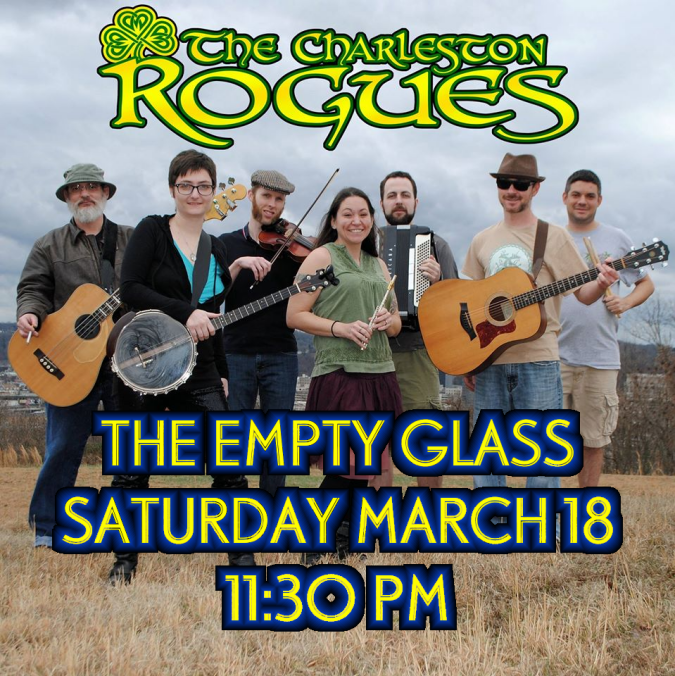 If that’s not your cup of tea, head to The Empty Glass for The Charleston Rogues as they put a West Virginia spin on the music of The Pogues, for those of you who didn’t get enough Celtic jollies on Friday. Wrap up the East End Pub Crawl in style with the Charleston Rogues.